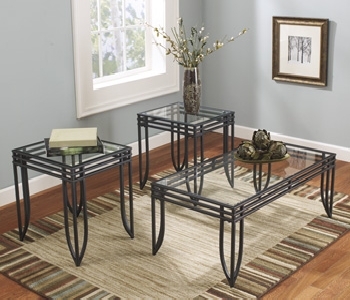 Less is more with the Exeter coffee table set. The glass tops enhance the open and airy feeling you're going for while the metal tubular frames in a rustic two-tone finish inject a highly contemporary vibe. Includes coffee table and two matching sideaccent tables.